What constitutes an empathic response to a patient who is raging and provocative? Is such rage always a reaction to empathic failure or is it rather a desperate plea for a different kind of empathic understanding? How does a certain kind of empathy actually intensify a patient's experience of shame and humiliation? How does one empathize simultaneously with the multiple self states that constitute the "new" therapeutic relationship? And finally, how does one contend with therapeutic idealization as both a necessary background for certain kinds of therapeutic progress and also a potential inhibitory factor in certain kinds of common therapeutic stalemates?Dr. Messler Davis takes a closer look at what it means to be "empathic," and what it means to establish a "new" relationship with a dissociatively organized traumatized patient.An extended clinical example will be provided in an attempt to explore these issues that constitute the "dark side" of empathic responsiveness. 1. 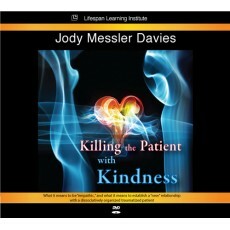 Differentiate between kindness and empathic responsiveness. 2. Describe the complexities of therapeutic idealization as both a facilitator and inhibitor of therapeutic progress. 3. Explain how shame functions at the heart of many therapeutic impasses.